16 updates, five of which are Critical. Another month, another bad patch. Open Xchange, an open-source equivalent to Microsoft Exchange Server, has secured an additional $9 million in funding to add to its first-round $8.8 million. Apple's iPhone handset will soon officially support third-party applications via the new App Store, and corporate users will be able to sync with a Microsoft Exchange server. 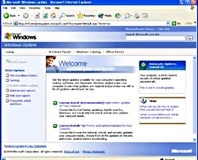 Microsoft launches Windows Vista today, along with Office 2007 and Exchange 2007. Home users are going to have to wait for a bit. Virus protection? That's for wusses, says the head of Microsoft's Windows efforts. Well, that's sort of the impression, anyway. Vista gets opened up to security firms, whilst businesses prepare for a week of mis-timed appointments and late emails. 99.6% of telephone exchanges will support up to 8MBit ADSL from March 31, thanks to impending upgrades by BT. 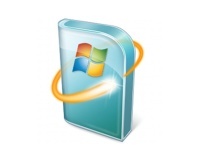 Feeling the pressure to upgrade your copy of Microsoft Cheese, Port and Cigar Server to version 16? Don't give in just yet! Did you hear the one about the Email Server, The Bandwidth and the disgruntled IT Admin? Concerned about the propagation of Email viruses? Maybe it's not the users who need to wise up.